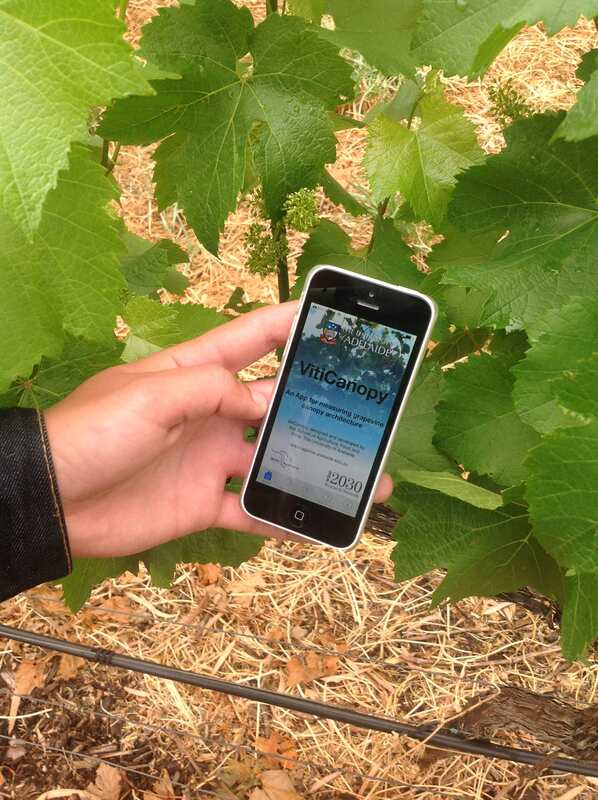 VitiCanopy is a smartphone and tablet app developed by a team from The University of Adelaide and The University of Melbourne enabling growers to characterise the canopy architecture and leaf area index of their grapevines. VitiCanopy is a tool that growers, irrigation practitioners and scientists can use to quickly and reliably assess spatial and temporal growth and canopy architecture dynamics. This can then be associated with final yield and grape quality. The app was released in September 2015, and was funded by the Australian Grape and Wine Authority. An android version of the app is under development. See a press release about the app here. The following video is a guide to the use of VitiCanopy. This can also be found on the youtube here. Please contact us at: vinebalance@adelaide.edu.au for feedback, help and support. This app was released through the Adelaide Research and Innovation (ARI). Fuentes S., Poblete-Echeverria C., Ortega-Farias S., Tyerman S.D., De Bei R. 2014. Automated estimation of leaf area index (LAI) from grapevine canopies using cover photography, video and computational analysis methods. Australian Journal of Grape and Wine Research 20 (3): 465-473. De Bei, R., Fuentes S., Petrie P., Kidman C., Hook J., Gilliham M., Tyerman S., Collins C. (2014) A smartphone application to assess leaf are index. Proceedings ASVO Mildura “Searching for the Sweet Spot – optimal yield and quality”, July 24th-25th 2014.